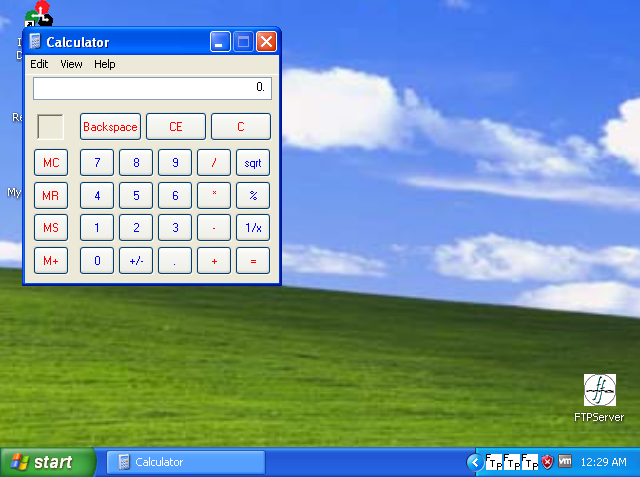 Free-Float FTP : Pop calc.exe via Stack Overflow. Hello, today I planned to exploit a basic window application as the name suggest it’s a FTP (Free-Float v1.0) which is having a stack overflow in one of the parameters today we are going to use it to execute the shellcode and hopefully at the end of the post you will know how to exploit a basic windows application. So first we need to install immunity debugger, free float FTP on the windows XP machine. 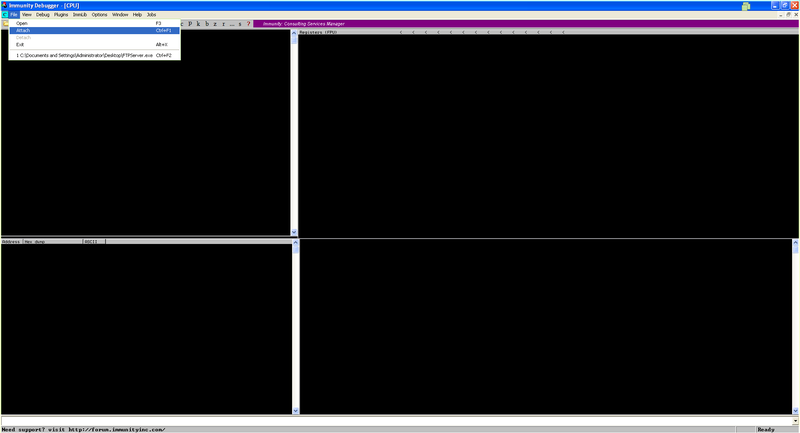 This is how the free float FTP server looks like, while you are trying to ping a Windows XP machine you might not be able to ping it, because you need to disable the firewall to connect to it and exploit it. Now let’s write a python script to connect to it. So from the script above we can see after supplying USER anonymous and PASS anonymous we tried to create a directory by MKD <name> and after exiting we got an error. 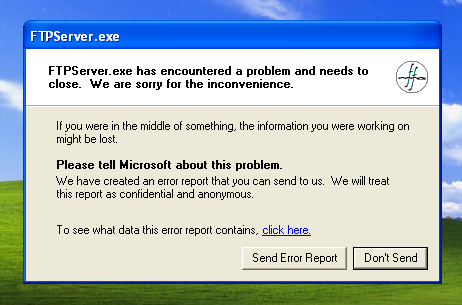 Here the name is the payload which was 1000 * "A"
Let’s check the status of FTP on windows XP. So as we can see that it crashed it means we know that the 1,000 A’s are sufficient to cause the overflow. So for that I am going to use msf-pattern_create to create a unique length string that helps me identify the offset. Let’s use this as a payload to analyze where it crashes and to get an offset. 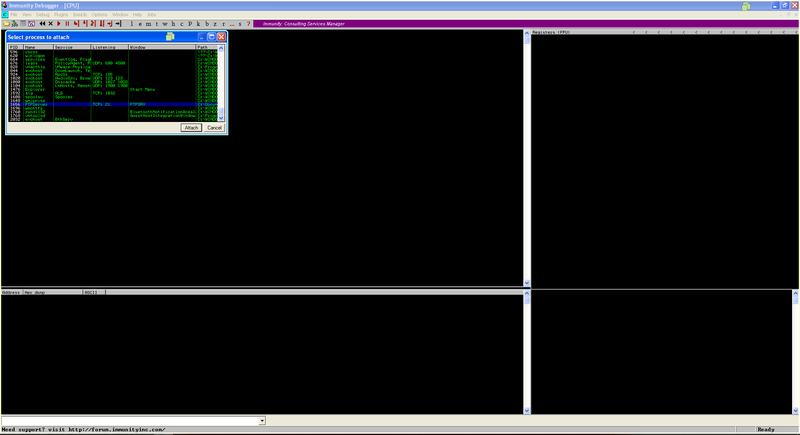 Now this is where the debugger comes in play, we need to attach Float FTP with the debugger to look at the stack. Run the FTP and attach it to immunity debugger. 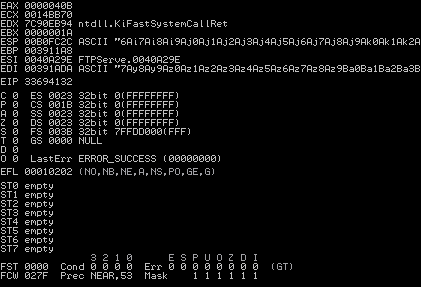 After we run the program in immunity and hit exploit it crashes let’s look at ESP. We see ESP as 6Ai7Ai that’s what we are going to use to figure out the offset. So now we know what’s the payload for ESP override. But we also know that the overflow occurs at 1000 * A . Let’s change the payload a bit. 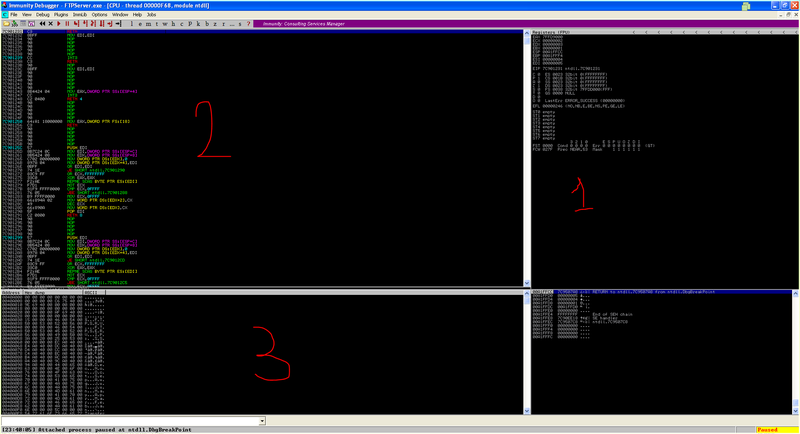 Now we are looking for SHELL32.dll in this case I am going to choose 0x7c9c1349. Note badchars were known beforehand in this case at times you need to manually debug to find the badchars. Now you can change the exec CMD = <whatever> and get the execution.